If you have studied or thought about the relationship of Christian churches to each other, then you may have come across information about the ecumenical movement. The word ecumenical comes from Greek, where it originally meant universal or representing the whole world. In the late 16th century, the word came into English as a church related word meaning something that represented all of the Christian world. Ecumenical relationships are relationships between different kinds of Christian churches that are striving for greater unity with each other. When you hear the word ecumenical paired with the word movement, it is generally referring to a movement towards greater Christian unity that began in the 20th century. Although you will likely get differing opinions as to when this movement really started, depending on whether you are reading history from a Protestant, Catholic, or Orthodox perspective, certain events tend to stand out when you begin to learn about the ecumenical movement. One of those events was the 1910 World Missionary Conference in Edinburgh, Scotland, which included 1,200 delegates from most major Protestant denominations in North America and Northern Europe. These delegates discussed a number of things, including greater co-operation among Protestant churches in missionary and other endeavors. Some of the ideas and relationships formed at Edinburgh eventually led to the formation of the World Council of Churches in 1948, which is currently headquartered in Geneva, Switzerland. The organization includes about 350 different denominations or branches of Christians, including Anglican, Orthodox, and various Catholic and Protestant bodies. The Roman Catholic church doesn’t officially take part, but they do send observers to meetings, and there have been more efforts at Protestant-Catholic dialogue in recent years. The idea behind all of these ecumenical endeavors is to foster a deeper sense of unity among Christians and to seek ways that different Christian churches can come together to work in ministry and mission. For some churches, especially churches with deep historical and liturgical roots, the reconciliation of various kinds of Christian denominations has some important theological ramifications. Sometimes there is confusion over the idea of ecumenism because people tend to think it means greater co-operation among all religions (Christian and non-Christians). However, that is really best described by the term inter-faith. Inter-faith dialogue and activity might take place, for example, among Christians, Jews, and Muslims. All of these groups would readily admit that they have very different worldviews, beliefs, and faith traditions, but sometimes they come together for the sake of certain projects, finding common ground where they can. Ecumenism is intra-faith rather than inter-faith. It has to do with Christians who have distinct historical and traditional differences coming together. Churches in full communion with each other recognize each others’ ministers and can receive communion in each others’ churches. 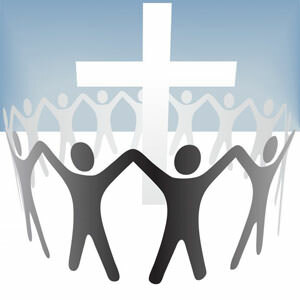 In the New Testament, Jesus spoke of the importance of unity among Christians. Almost all Christian churches place at least some emphasis on this issue, some more than others. Those who have come together in a more formal way are generally spoken of as being part of the ecumenical movement.